"Augmented reality still (detail), by Cao Fei, 2017. 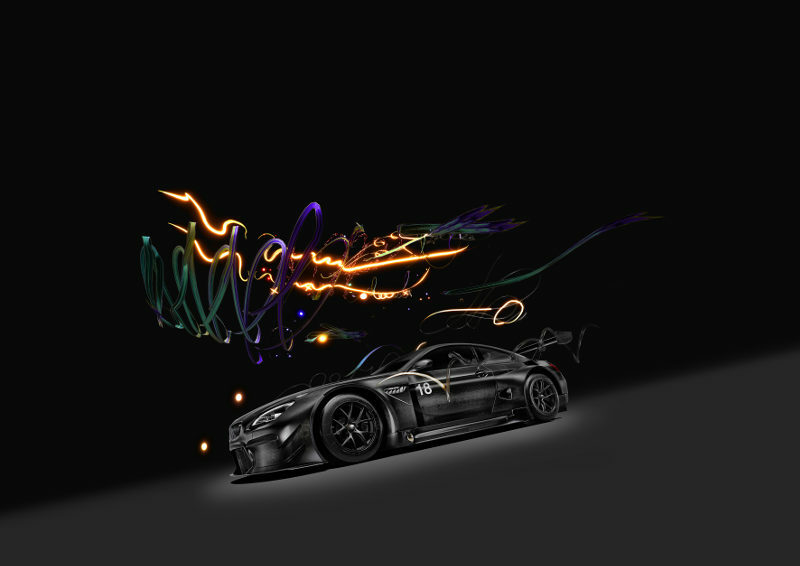 BMW Art Car based on the BMW M6 GT3. 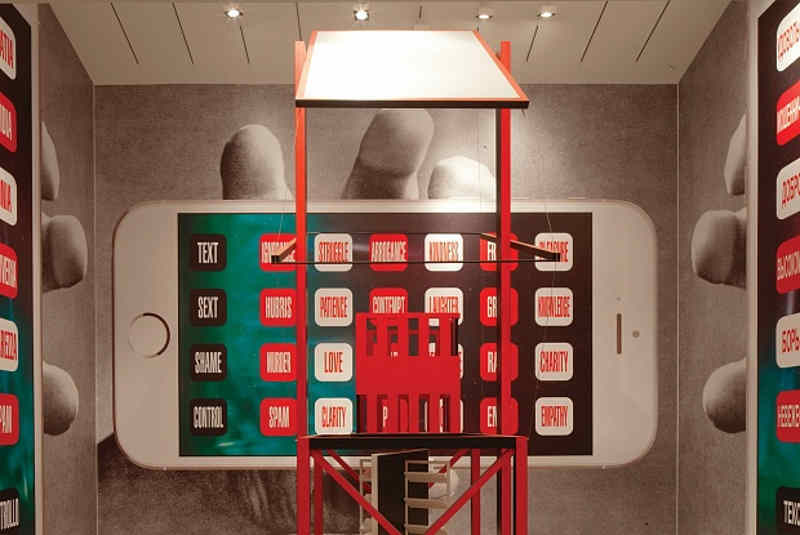 © BMW AG and Cao Fei Studio, courtesy of iArt App"
The exhibition is curated by Alfred Pacquement, hosted by the Red Brick Art Museum, and co-organized with the Association for the International Diffusion of French Art (ADIAF). Running through 27 August, 2017, the exhibition links to the Festival Croisements. The exhibition is supported by the French Embassy in China (IFC) and Institut Français. The show presents eight internationally acclaimed artists: Kader Attia, Latifa Echakhch, Cyprien Gaillard, Dominique Gonzalez-Foerster, Laurent Grasso, Mathieu Mercier, Julien Prévieux and Tatiana Trouvé. 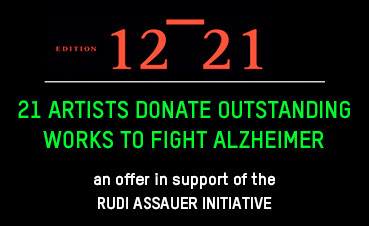 A4 supports research-based art projects in Chengdu through young artists and curators’ initiatives, as well as international artist exchanges and residencies. For the latter, it has worked in partnership with the Yokohama Museum of Art since 2008 and the Kyoto Art Center since last year, inviting Japanese artists to Chengdu and building ties countering China’s fraught relationship with Japan. The sale is part of a massive downsizing effort on the part of the collectors, who have been leading figures in the Chinese art world for the past decade. 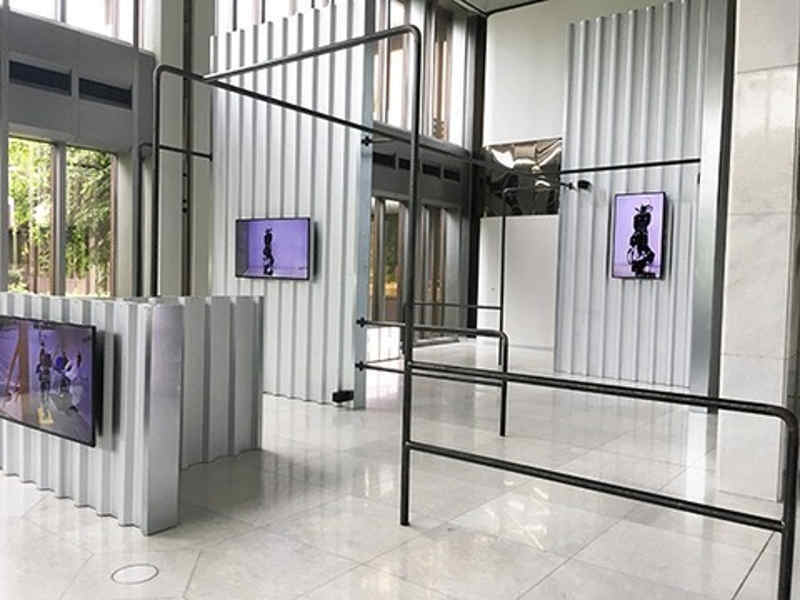 Last year, they announced their intention to sell their museum, the Ullens Center for Contemporary Art (UCCA) in Beijing, as well as their collection of Chinese contemporary art. “The era of Ullens has ended, and the Chinese now take over the responsibility for the standard and collection of China’s contemporary art,” the collector Wang Bing, who bought several works from the sale, said on WeChat. Following the contributions by Jeff Koons and John Baldessari, Cao Fei is both the youngest and first-ever Chinese artist to create a BMW Art Car. By employing augmented and virtual reality, the internationally acclaimed Chinese multimedia artist addresses the future of mobility such as autonomous driving, airborne cars and digitalisation. In the presence of Dr Ian Robertson, Member of the Board of Management of BMW AG, and hundreds of invited guests, the reveal of BMW Art Car #18 was celebrated at the Minsheng Art Museum in Beijing on 31 May. Among the many highlights were world auction records being set for a work by Zao Wou-Ki, a Chinese monochrome porcelain, and a handbag. You can read more Chinese news under The Art Newspaper China. 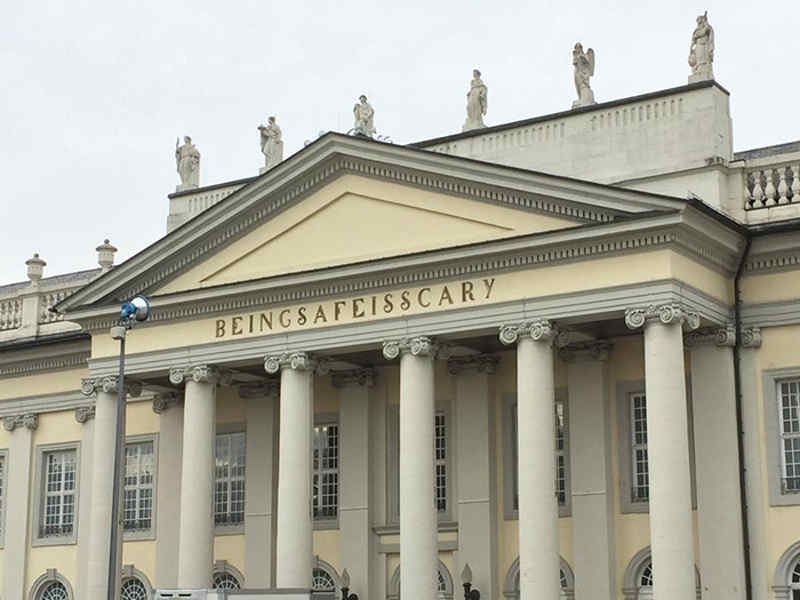 Banu Cennetoglu, BEINGSAFEISSCARY (2017), installation view at Fridericianum, Friedrichsplatz, Kassel, documenta 14. El Arousa by Effat Naghi. Mixed media. Oil and copper on board, 35.5 cm x 29 m.
The first Berlin retrospective of the Iranian-born photographer distills her vastly different works over the past decade down to just 35. A visual cosmos of images that highlights the semantic complexity of her practice, the exhibition emphasises juxtaposition through a dynamic arrangement of subjects and styles: unspectacular landscapes are set alongside staged fruit and flower still-life compositions, and seemingly casual urban scenes alongside abstract compositions. Shahbazi's work can be read in fragments, such as when the artist translates pictures from a trip from Zurich to Tehran into two-tone lithographic prints. The first US solo show for this Saudi Arabian heavyweight presents a remarkable body of work born in the aftermath of the tragic events of September 11 – a moment that Gharem says “made the world stand still". This notion of pause has deeply infiltrated his practice, which ranges from viewing still moments as opportunities to examine universal dichotomies to more literal renditions, such as the digital symbol for pause – a pair of rectangles – as a visual metaphor for the Twin Towers. The exhibition includes Camou-flage, a newly created, monumental “stamp painting” that juxtaposes a mosque and an army tank. Featuring actors Salma Hayek and Tahar Rahim, I Saved My Belly Dancer is a lavish, high definition produc-tion by Youssef Nabil, with a colour treatment reminiscent of hand- tinted vintage photographs. A hyp-notic allegory of Egypt’s cultural heritage and shifting perceptions of women, the film laments the fading of the meaningful and elaborate tradition of belly dancing (once considered a high art form), which is largely attributed to the shifting ideological circumstances of the artist’s native country and the rise of religious conservatism. An exhibition reflecting on the role of women artists in the development of Egypt's modern art scene. 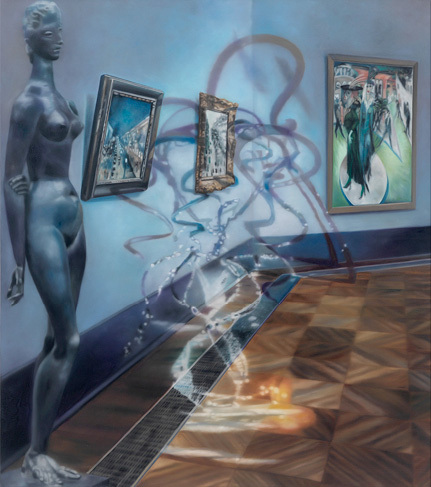 While mapping the country’s unique, early 20th-century engagement with issues of nationalism, woman-hood, activism, multiculturalism and traditions, all of which produced a substantial environment for fe-male artists to develop, the show is focused on the period between the 1950s and early 1970s. 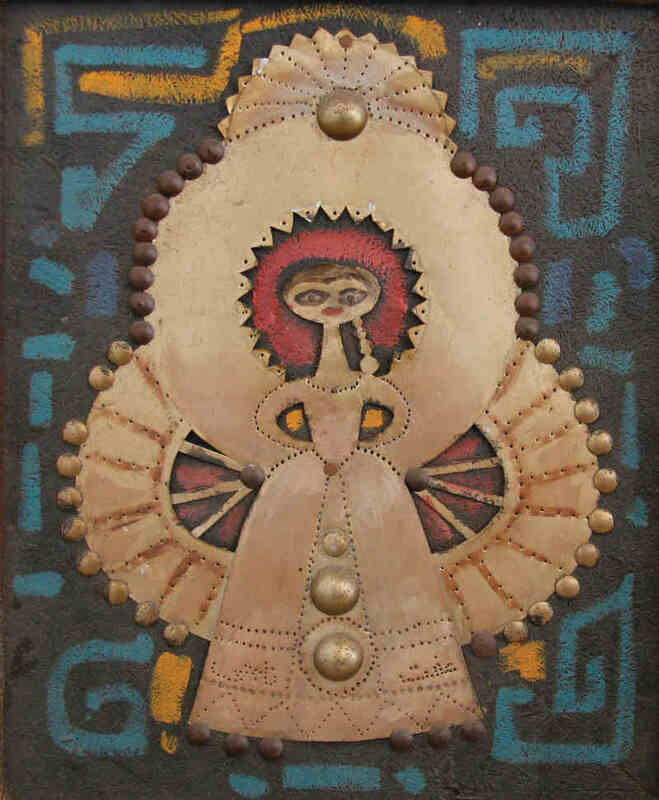 It features works by Inji Efflatoun, Vassila Farid, Tahia Halim, Zeinab Abdel Hamid, Effat Naghi, Marguerite Nakhla, and Gazbia Sirry. The UK’s first all-women artists’ exhibition from Saudi Arabia is presented as part of Shubbak, the London biennial festival of contemporary Arab culture. Featuring Dana Awartani, Reem Al-Nasser and Zahra Al-Ghamdi, the works contemplate the place of memory and heritage as the artists negotiate their respec-tive positions amid all the rapid cultural changes shaping the Kingdom. As part of the programme, Zahrah Al-Ghamdi will also be creating a new temporary installation in the Great Court of the British Museum on 2 July, so look out for it. The biennial aims to pose questions and answers about the conditions for the possibility of a more evolved art world. You can read more Middle Eastern art news on Canvas Magazine online. Another influential foreign patron is building an art empire in Venice, joining the ranks of the French luxury goods tycoon François Pinault and the Italian fashion giant Miuccia Prada. The Russian gas billionaire Leonid Mikhelson launched a gallery in the 19th-century Palazzo delle Zattere with a show of Soviet and contemporary art during the opening week of the Venice Biennale (Space Force Construction, 13 May-25 August). Mikhelson’s Moscow-based V-A-C Foundation will run the new space, which will host two temporary exhibitions a year. Dutch Golden Age masterpieces from the State Hermitage Museum in St Petersburg are making a rare return to the Netherlands this autumn. Amassed by Russia’s tsars since Peter the Great, the museum’s collection of 17th-century Dutch paintings is the largest outside the Netherlands, with around 1,500 works. Sixty-three pieces by 50 artists are due to travel to the Hermitage Amsterdam for the first dedicated exhibition, Dutch Masters from the Hermitage: Treasures of the Tsars (7 October-27 May 2018). Thomas Kaplan, the US billionaire metals investor who owns more Rembrandts than anyone else, plans to send his collection of Dutch Old Masters to Russia as part of its world tour. The State Hermitage Museum in St Petersburg is “in negotiations” to show the Leiden Collection in 2018, a spokeswoman says. The Pushkin State Museum of Fine Arts in Moscow has also been earmarked as a possible venue, according to the Economist. The Pushkin could not be reached for comment. Anselm Kiefer, for Velimir Khlebnikov: Fates of Nations, which opened on 30 May (until 3 September), is co-organised with Galerie Thaddaeus Ropac, one of the galleries that represents the German artist. With around 30 new works inspired by Kiefer’s visit to St Petersburg last year, the show is dedicated to the Russian Futurist poet Velimir Khlebnikov. Pyotr Pavlensky, the Russian political performance artist famous for nailing his scrotum to Moscow’s Red Square and setting fire to the door of Russia’s Federal Security Service headquarters, has secured political asylum in France.